Disclaimer: I reviewed the ARC. At several points in our careers, we have experienced the damaging effects of ego. This could have been your boss or co-worker affecting you or you affecting others. These individual effects cumulate to reduce the organization’s potential and become part of the culture; which perpetuates more ego driven decisions. How do we stop this? “Ego Free Leadership” attempts to explain and solve this insidious problem. People who have read Patrick Lencioni’s “fables” will find this style of writing familiar. It takes that formula and amps it to 11. Each chapter is a step in the real life transformation of Brandon Black and his organization, Encore. This provides us the emotional connect. At the end of every chapter, Shayne Hughes, the coach, provides an analysis and gives us the concepts. This unique dual perspective helps us appreciate the transformations better. Many of us will relate to the circumstances and personalities in this book since this is an open and exact depiction of organizational politics and motivations. I could relate with the coaching aspects as I have been part of such initiatives. The portrayal is authentic in its description of the resistance, aha moment, acceptance and the willingness to develop, which most people go through in such Leadership Development courses. There is no magic bullet to self development as this book is quick to remind us. Self development happens when we learn to recognize and break destructive patterns. The only stumble that occurs here is in the “flip” of the mind-set. How do we change a skeptical mind to one receptive to self development? Unfortunately, like other self-help books, the “flip” moment described is not reproducible. Brandon Black undergoes an aha moment, but this is unique to him. If organizational transformation has to succeed, the “flip” is the crucial component. Otherwise such transformations are still-born or die a slow death. 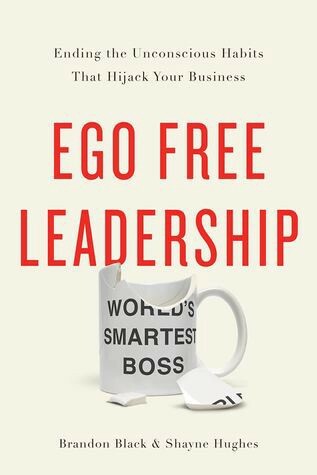 “Ego Free Leadership”, despite this singular flaw, is a worthy addition to any bookshelf. I would highly recommend this book to anyone in a leadership position. It will be available on 14-Mar.